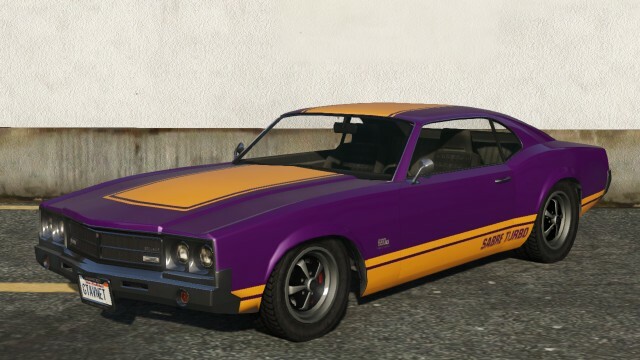 The Declasse Sabre Turbo is a muscle car featured in GTA 5 based on a 1970 Oldsmobile Cutlass. 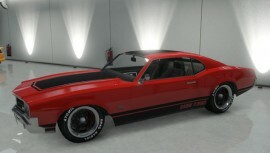 It borrows bits and pieces from various American muscle cars. 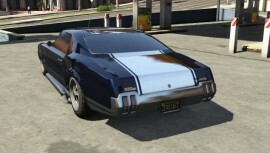 The back and sides resemble a 1970 Oldsmobile Cutlass, but the sides have softer lines and could be from a Chevelle SS, the front is similar to a Buick GSX (the headlights and the shape of the bumper is also very similar to a 1970 Cutlass) and the front bumper’s round turning signals are similar to a Dodge Coronet. The wheels appear to be based on those found on a Pontiac Firebird. 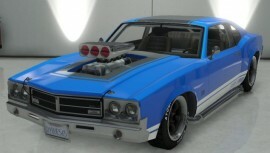 The Sabre Turbo supports a fairly wide selection of parts that can be installed in Los Santos Customs. 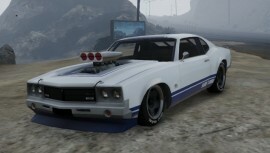 In GTA 5, the Declasse Sabre Turbo‘s performance is on par with the more modern muscle cars such as the Vapid Dominator and the Bravado Gauntlet, although its softer suspension makes the car somewhat twitchy, making it un-recommendable in tight races and chases, and also to beginners, or anyone with a low driving skill. It can be assumed that it shares its drivetrain with the Sabre GT, which means it features the exceptionally powerful 9 litre turbocharged V8 coupled to a long-throw 5-speed semi auto manual transmission. This engine has enough torque to put any chassis under stress, and here it’s no exception. Coupled with the fact that the long transmission makes anticipating the boost difficult, it could be said that this car should be kept on the freeway, where a driver can get the most out of the car’s massive power. 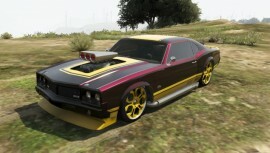 It’s top speed is pretty far from other muscle cars at a region of 285 km/h. 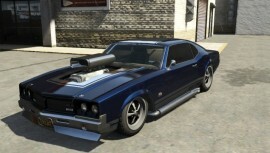 Spawns more commonly in Downtown Los Santos when the player is driving another muscle car. E.g. Gauntlet, Dominator, or Phoenix. Starts to spawn consistently after the player has completed Trevor’s Minutemen Strangers and Freaks side-mission strand. 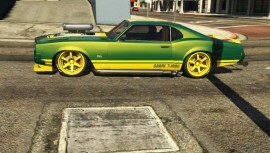 Appears in Paleto Bay (eg. One spawns on the side of the road in front of the tattoo parlour). Usually spawns when driving the Phoenix or Dominator. 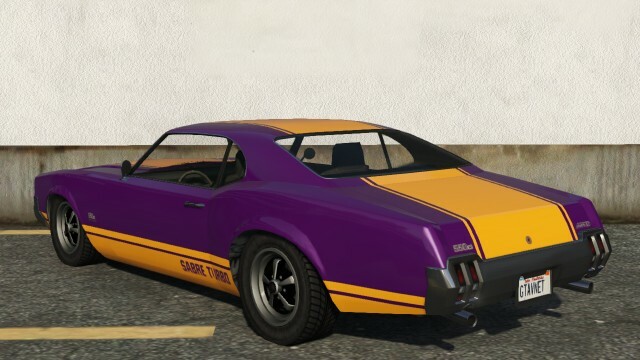 In GTA Online, Declasse Sabre Turbo sells for $1,500 in Los Santos Customs.